Our good friends over at Native Instruments are never ones to quit while they are ahead in the DJ software game. This is a great thing for DJ's all over the world because we get to reap the benefits of this new age of digital DJ competition and all the new digital hardware and software goodness it brings. Introducing the new Traktor Kontrol F1 Pad-Based DJ controller that was built to control the new Remix Decks included in the all new Traktor PRO 2.5 software update along with other new functions and features. Check out the full press release, info links, and Demo video inside. Our good friends over at Native Instruments are never ones to quit while they are ahead in the DJ software game. 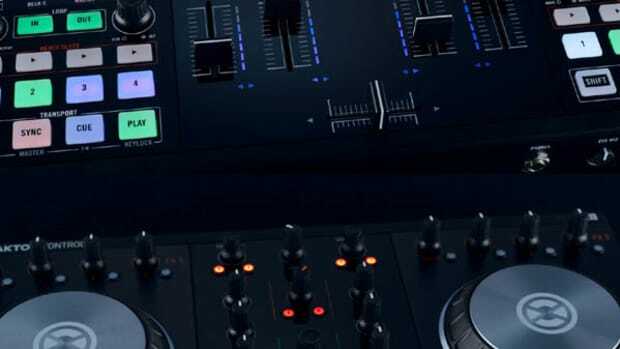 This is a great thing for DJ&apos;s all over the world because we get to reap the benefits of this new age of digital DJ competition and all the new digital hardware and software goodness it brings. Introducing the new Traktor Kontrol F1 Pad-Based DJ controller that was built to control the new Remix Decks included in the all new Traktor PRO 2.5 software update along with other new functions and features. 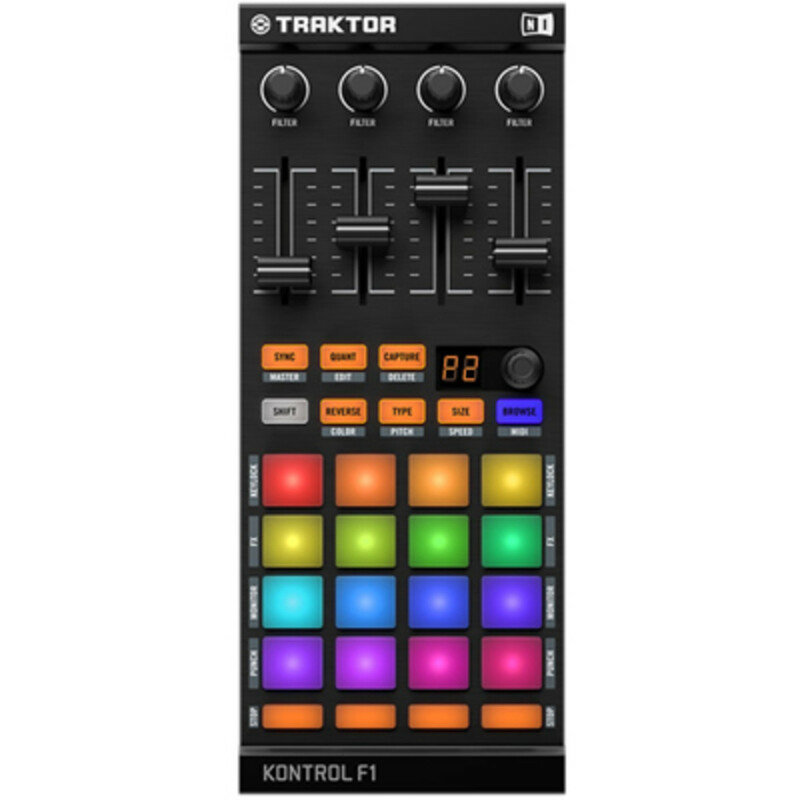 The Traktor Kontrol F1 controller has 16 LED touch pads, a four volume fader mixing section, and dedicated filter knobs for DJ&apos;s who like to use workflows for launching clips, cues, samples, and loops on the fly. The new Traktor Pro 2.5 update has the new Remix Decks that gives users access to 64 slots that can be used for one-shot samples, loops, cue points, or even track decks. These 64 slots can be called upon in many different ways and the usage can range from simple to super-complex depending on your needs. This new solution starts to bridge the gap between the producer and the DJ in a nice and intuitive way. You know we will be one of the first to review both the new software update and the new Traktor Kontrol F1 as soon as they are ready for release. The Traktor Kontrol F1 will go on sale on May 30th for $279 while the Traktor Pro 2.5 update will be FREE for current Traktor Pro 2, Traktor Scratch Pro 2, Traktor Kontrol S2 and Traktor Kontrol S4 users. More information in the links below. Check out the video by DJ Shiftee in the meantime. The new Traktor Pro 2.5 software and Traktor Kontrol F1 Controller are set to arrive on store shelves everywhere next month. In the meantime, Native Instruments is providing us with a slew of new videos and information regarding the new 2.5 software update and F1 controller to hold everyone over until the actual release. This new video will show controllerist Moldover combining two F1 controllers with his Traktor Kontrol S4 in order to unlock the full potential of Traktor's new Remix Decks. Check out the full video inside along with a quick breakdown from yours truly. 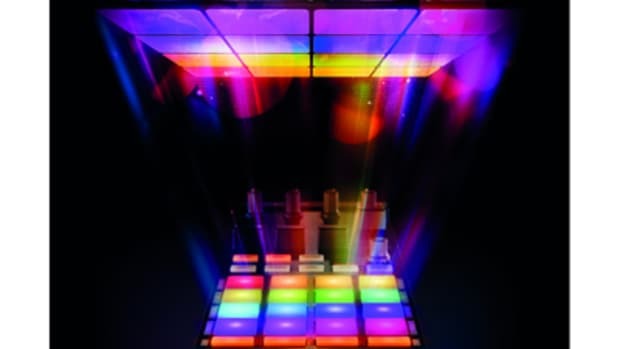 The Traktor Kontrol F1 has been making huge waves in the DJ performance world. We recently released our full HD-Video review of the new Traktor 2.5 software and the F1 controller which stated that there would be a rather steep learning curve before most "normal" playback style DJ's could seriously get into the remix decks. 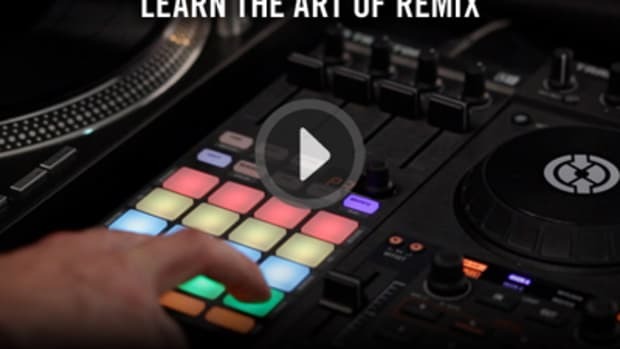 Native Instruments has heard everyone's remarks and has responded with a series of Traktor Kontrol F1 tutorial videos to help make the remix decks more accessible. This morning I was greeted with a new surprising tweet from Native Instruments that is sure to have the whole DJ World buzzing! Introducing the new Native Instruments Traktor Kontrol S2 Digital DJ Controller. 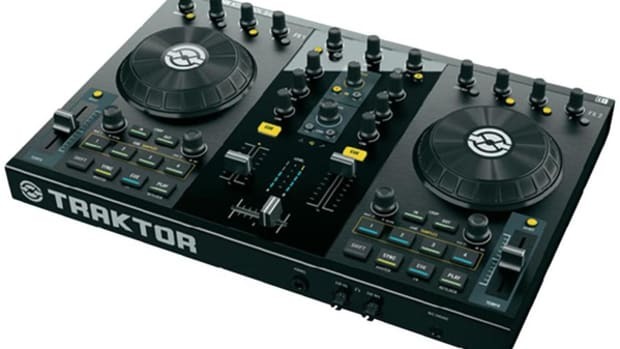 Just like the Traktor Kontrol S4, this new S2 controller will have many of the same features while eliminating two of the channels/decks of control that some DJ's won't really need (Like Most Hip-Hop DJ's). The Kontrol S2 will be out in stores on October 4th, but check inside for a demo Video, pricing, and more information on this exciting new controller. This is a friendly reminder that the new Traktor F1 DJ controller and Traktor 2.5 update will be available on 5/30/2012. The new remix decks and all new functionality will be ready to set the DJ world ablaze. In order to ensure that you can get your F1 controller on the release date, you might want to jump in here and secure yourself a pre-order since this one seems to be seriously hot judging from the emails in my inbox. Our full HD-Video review will be released right around the time of the hardware and software, so stay tuned. 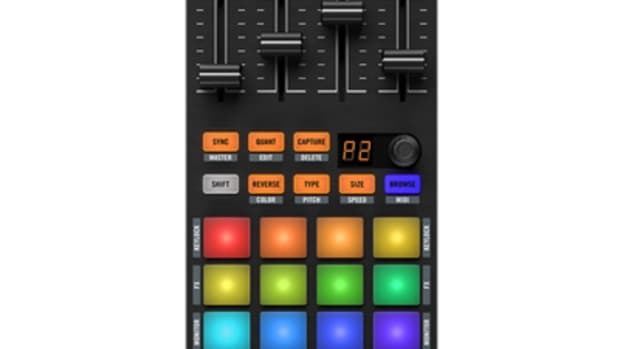 Native Instruments has given us a solid release date for the new Traktor 2.5 software update and the new Traktor Kontrol F1 remix deck controller which will arrive on store shelves everywhere on May 30th, 2012. The Traktor 2.5 update will be given free to current Traktor Pro 2 and Traktor Duo 2 users which will be available at the Native Instruments website and there is a CRAZY price-drop for those who don't have it yet. Traktor 2.5 along with the Traktor Kontrol F1 will have features to control the new Remix Decks features that Traktor will now introduce. Check out the full press release inside for details.